Not only is it small to read (sorry), but the interest paid is just as small. If you had to squint your eyes to see it, I know how you feel. I’ve been squinting at the piddly amounts of interest paid in my accounts for years. I’m sure you have to. Why are savings rates so low? The glee we all feel over low borrowing rates for our mortgages OR car loans (if you have one), also correlate to low savings rates. Low interest rates for borrowing, means low interest rates for savings. And, we all know the Federal Reserve determines interest rates to prevent inflation, deflation or a long-term recession. Banks then set their rates based on this figure. If the rates are low, they aren’t gonna be able to pay you much on the money you put in their coffers. So – like in the above example – if you were to deposit $100 into your bank account, they may keep about $10 of it in their vaults and lend out the remaining $90. It’s pretty amazing when you think about how little the bank actually keeps of your money on-site. When the community all wanted to get their money out of the bank in the movie, It’s a Wonderful Life, the bank rep had to let the customers know they didn’t actually have all the money there. It was lent out to pay for other customers’ homes, and other purchases. But if the banks aren’t able to set a high borrowing rate on their loans, they aren’t able to offer a very good savings rate. 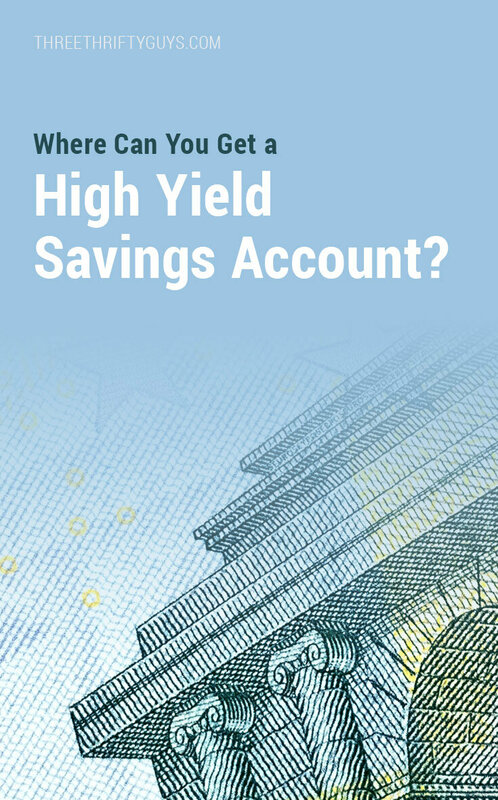 Where can you get a high rate savings account? According to NerdWallet, the national average for savings accounts is 0.06%. That’s pretty low. Because of this, the best place to look for a higher yielding savings account is online banks. They don’t have the overhead like some of the traditional neighborhood banks – so many of these online accounts can offer over 1%. While this is still not anything to shout from the rooftops, it is something to consider when you wish to maximize the earnings you can receive from your parked money. 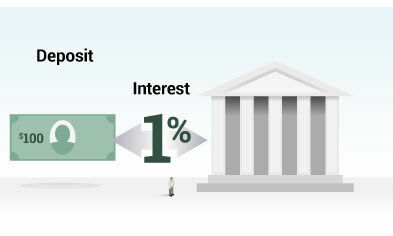 To illustrate why this matters, consider a simple example of a savings account with a 4% interest rate. Now, compounded annually, a deposit of $10,000 would produce $400 in interest during the first year. However, if the bank chose to compound quarterly, instead of paying 4% at the end of the year, interest would instead be paid at 1%, four times each year. So, after three months, an interest payment of $100 would be given. Now, after another three months, interest would be calculated at 1% of the new balance of $10,100, or $101. The cycle repeats in three more months, and so on. After a year, here’s what the account looks like. So where can you get a decent rate? I like to check some of the better know websites that keep up-to-date on the latest rates – sites like Bankrate and NerdWallet. At 1.35%, this rate is considerably more than the national average and is worth noting. Wherever you keep that emergency fund, a high yield savings account with a bank like CIT may be preferable to your current bank (mine is a measley .01%) and offer you the best return on your parked money. Where do you keep your rainy day funds? $100 is required to open an account at CIT. This post was brought to you by our friends at CIT Bank. TTG may earn a commission when you open up a new account – at no cost to you. Thank you for supporting the site. Where Do You Put Your Savings? Should You Bike to Work to Save Money…and Lose Weight? The fine print on the CIT page says you need to keep $100,000 at CIT for at least 3 months in order to get $100. Am I reading this incorrectly? P.S. If you don’t want to fool with the prepaid card stuff I mentioned above to get the 5%, an easy alternative is Ally Bank which I also currently use. They are now paying 1.2 % and you can open an account with as little as a dollar. They are Nation wide, you can sign up online, 24/7 toll free phone support and customer service and best of all, no monthly fees! Hello all. It’s Keith the Thrifty Guy of the Year again. 1.35% is not a bad rate considering what most banks pay, but I can tell you how I make 5% Yes, you read that right, 5% with only 10 bucks to open the account paid quarterly. The only “catch” is that the 5% only applies to the first $5,000 bucks. But if you and your spouse both sign up, that’s 5% on up to 10,000 bucks. Just google Insight Visa Prepaid card. After you get the prepaid card, you can sign up for the free savings account at 5%. You might be thinking ‘how can they do this’? The reason they can is their primary business is the prepaid card. They hope you load lots of money on the prepaid card and then every time you use the card they get a small transaction fee. The more people use the card, the more money they make. They offer the savings account to sweeten the deal, knowing that most people don’t even have 5,000 to save in the first place. So it’s a safe bet for them, and it’s easy money for you! Why park thousands of bucks in a bank earning .01% when you can earn 5% like this thrifty guy. If you have more than 10,000 to save just google simply paid visa card because they are another company I have used for over 3 years and they offer 5% as well. My Capital One 360 savings account pays me .75% no matter how much I have in the account. The CIT post says 1.35% on balances over $100K. Your post make it seems like you just need $100 to get 1.35% on your money. Plus how many people out there has $100K tonopen a savings account.